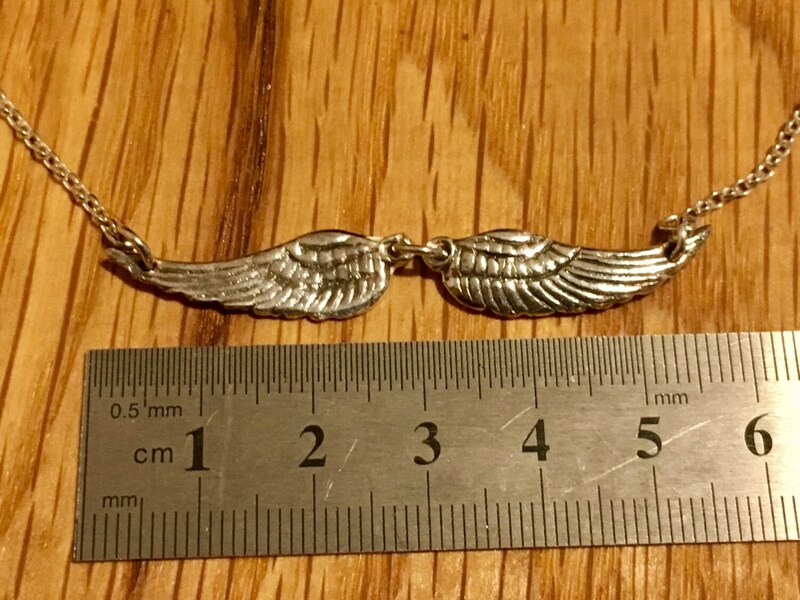 Delicate Silver Angel Wing choker necklace. 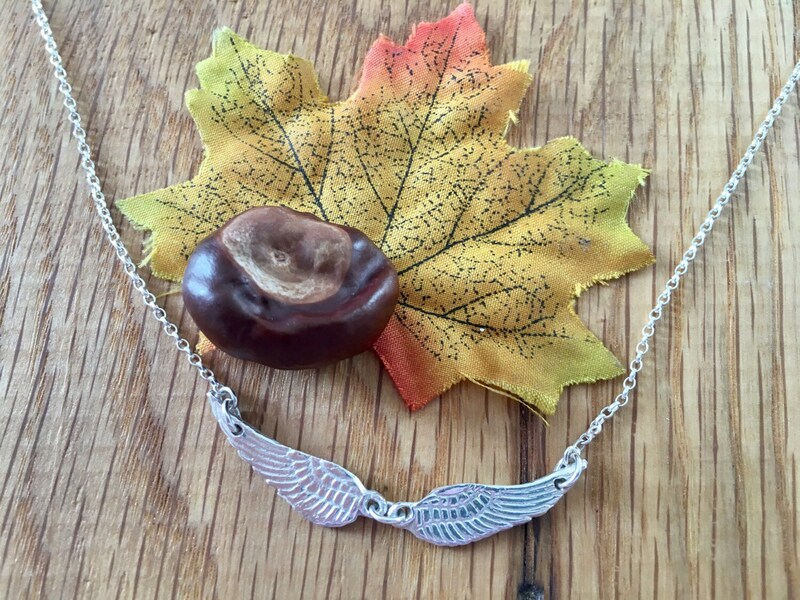 This beautiful handmade necklace is designed to sit on the neckline, choker-style. 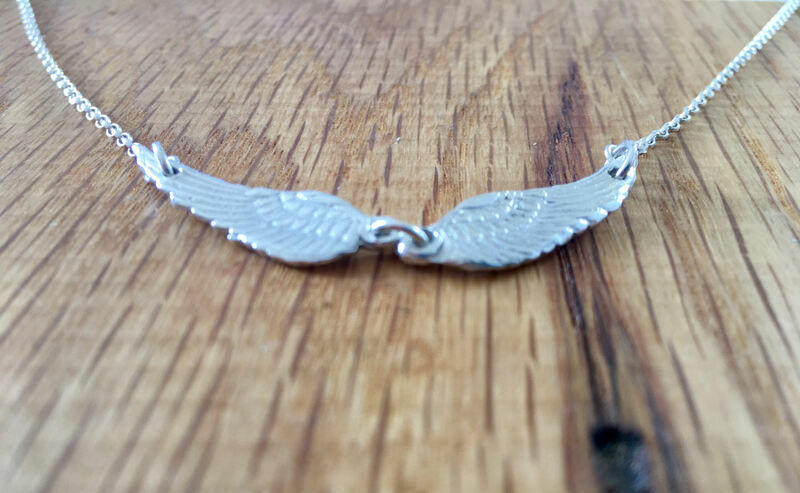 It is formed of two pure silver angel wings which have been joined by a sterling silver jump ring and attached to a sterling silver chain. 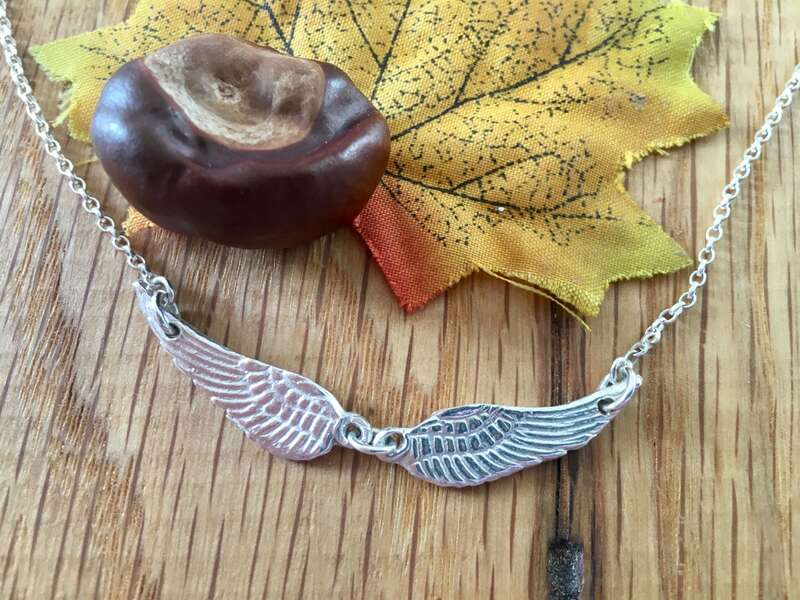 It is lovely to wear and makes a charming remembrance piece of jewellery. 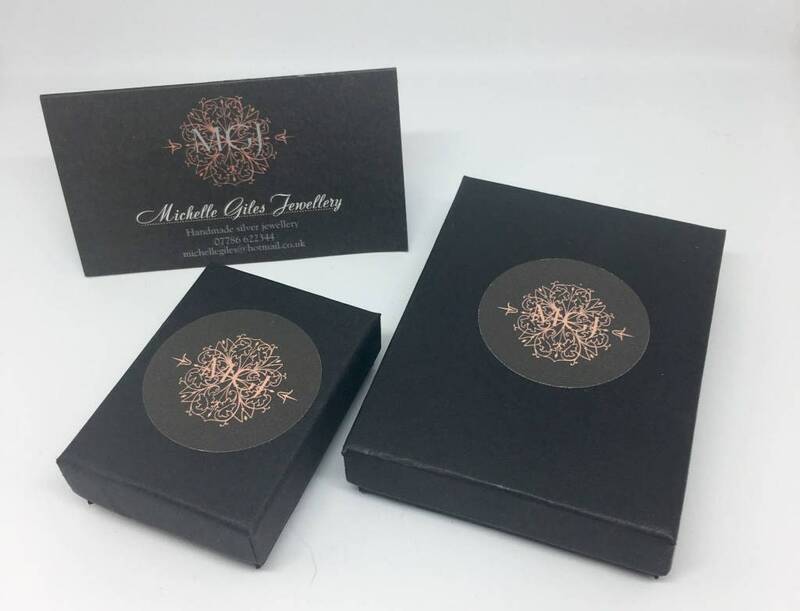 If you'd like something extra special then commission me to make you a personalised one and add a name and / or a Swarovski birthstone for that extra special, touch. The choker is approximately 16" in length and sits beautifully on the collar bone. If you'd prefer a different length then please specify at checkout. 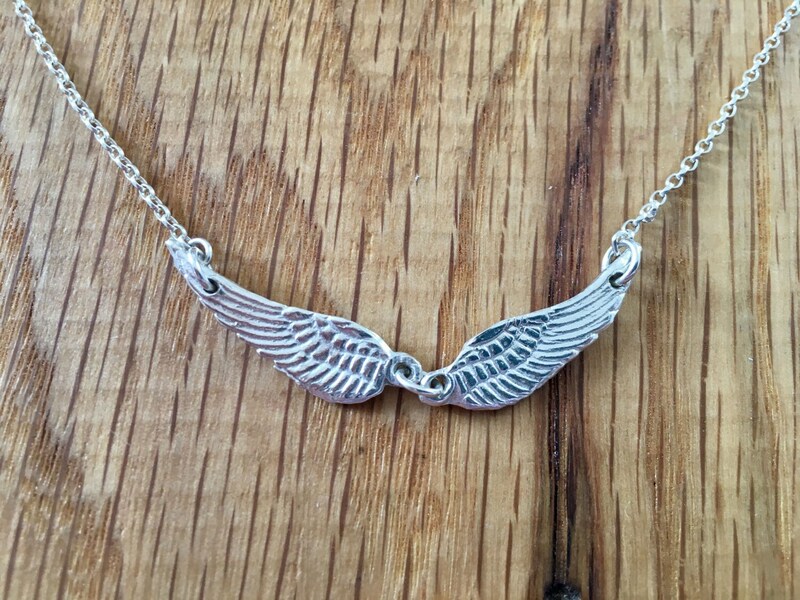 Matching Angel Wing jewellery is also available to purchase in my store.